"EKO is a particle that lives and dies. The EKO reveals the architecture and space." Maotik (visual artist) and Ezra (human beatboxer) both improvise on stage and work with real-time technologies. We created interactive tools to enhance interactivity between the two artists during their performances. We presented our work in progress at the MIRA Festival. 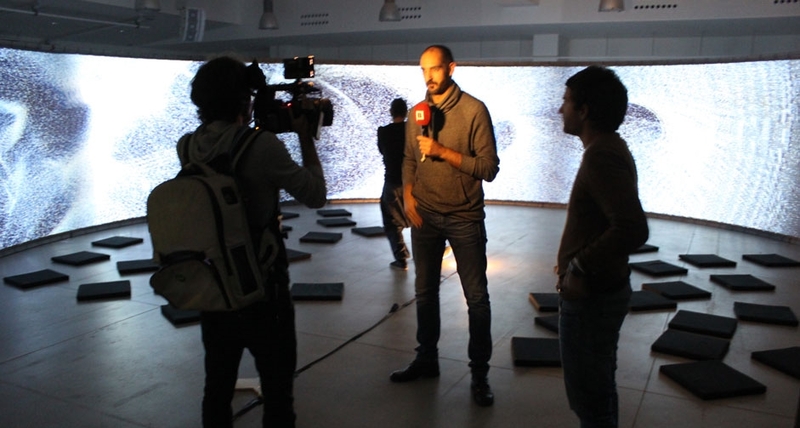 We presented the first work on EKO at Mira Festival, in Barcelona 2014. We are looking forward to the next time we can join in and make this project real.